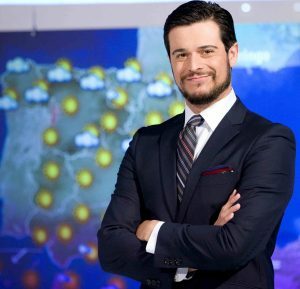 For the EMS TV Weather Forecast Award 2015 Martín Barreiro, TVE (Television Española), Spain, was selected. 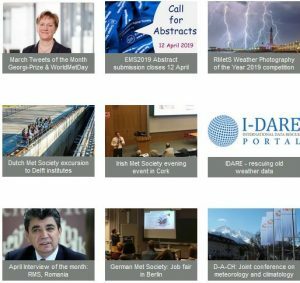 19 video clips of TV weather forecasts were submitted for the Award, ten of the entries were received from countries outside of Europe. The selection committee choose the forecast produced by Martín Barreiro (Spain) to receive the award. The entry went beyond a “normal” weathercast, as it included information about the ocean and red tides. There was also a good scientific explanation of the link between meteorological conditions affecting wave heights and strengths on the western coast of Spain. His presentation of weather conditions was poised, confident, and thorough. Martin Barreiro Carreira was born 1977, and holds a Degree in Physics from the University of Santiago de Compostela (2003). From 2002 to 2010 he worked as operational and numerical meteorologist at MeteoGalicia, a regional meteorological centre, and as a weather forecaster and presenter at Televisión Galicia TVG (Galician public television). In 2010 he joined Televisión Española TVE (Spanish public television). Martín Barreiro is specialized in maritime weather forecasts. He likes to explain complex aspects of the relation between the atmosphere and the ocean. All three forecasts are displayed in the Best Practice section.